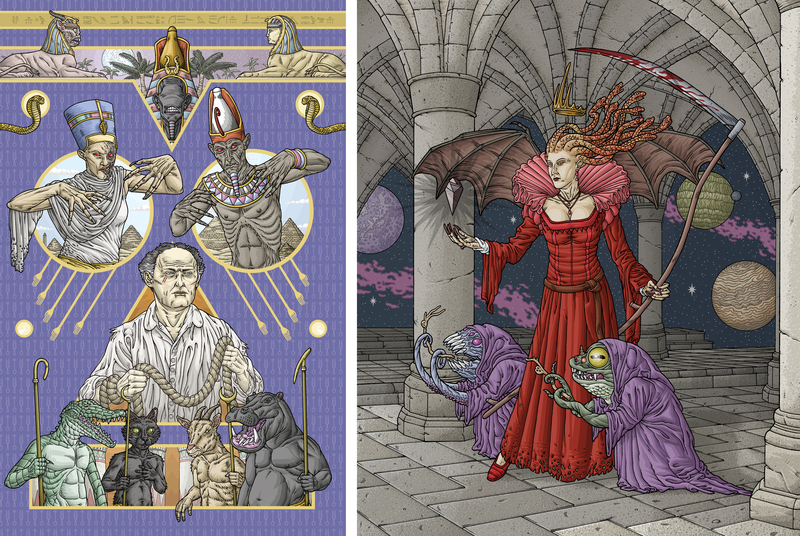 Illustro Obscurum Collection II is a compilation of Volumes V-VIII and features 111 illustrations by Michael Bukowski based on the writings of H.P. Lovecraft. A collection of Volumes V-VIII of Illustro Obscurum. 96 creatures, 12 Gods In Human Form and 8 Great Old Ones. One embroidered 3″x 2″ oval patch.